Every once and while a property comes on the market that you wished you made a move on. After all, life in Sarasota is a bit different. Powder white sandy beaches and endless azure waters make this the place to be! Of course, they only made so much waterfront so it is one special commodity that is in demand. Beyond the high cost, there is a lifestyle to be enjoyed and memories to be made 514 Pine Cone Ln in Nokomis could be that special property that you could call home. With 150 feet of top-shelf panoramic views of Lyons Bay that you might expect to be into the seven-figure price range. The possibilities are truly endless. Bring your home plans to build exactly the waterfront home you have been dreaming of or think about renovating this old-Florida style home to present day standards. Whatever your choice, the views are stunning and the boat ride is the less than 10 minutes to the Gulf of Mexico. Isn’t this exactly what buyers of luxury and waterfront homes are seeking? Head north up the intra-coastal waterway to Sarasota for a day of boating. 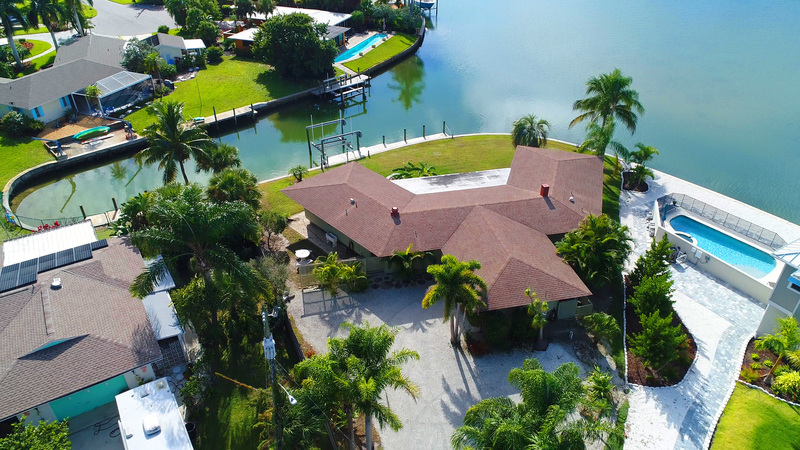 A large 12,953 lot, quiet cul-de-sac location, dock and lift, and concrete seawall have all the beginnings of a spectacular lifestyle. 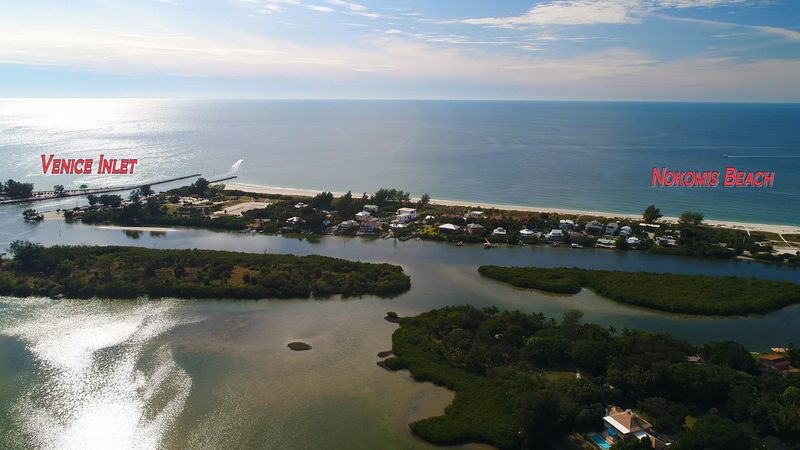 Just minutes away from the Venice Inlet, Casey Key, Nokomis Beach, Pops Tropical Grill (also on the waterfront), you might just find it faster by boat! 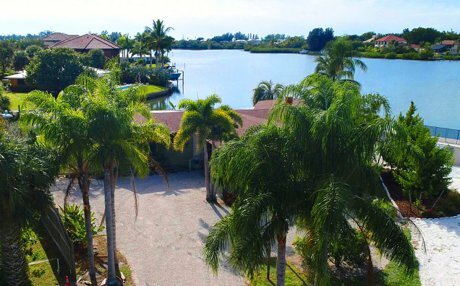 The existing home takes advantage of the lot by offering water views from the large great room as well as two of the large bedrooms. 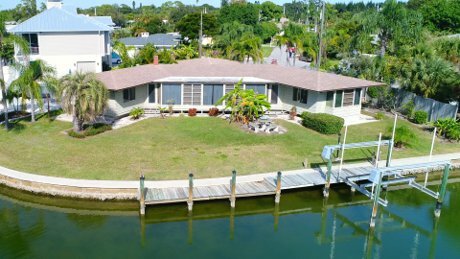 Built in 1962, the wood frame home offers taste of Florida character, covered parking, wood floors, and A/C. Permit records show new water service and new AC in 2012. In 2007, the permit records show a new seawall cap, replacement of the dock pilings and lift in 2007. The interior workshop is rumored to double as a bomb shelter which was not entirely uncommon in the area. In the early ’60, tensions between the US, Cuba, the USSR with the Cuban Missile Crisis Times have changed! First time offered for sale at $579,000.